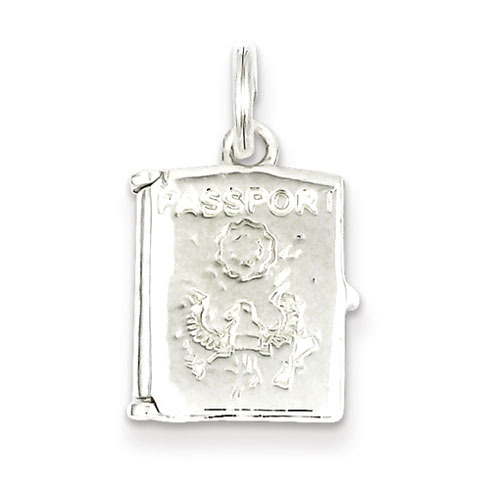 Sterling Silver Passport Charm. Weight:4 grams. Measures 5/8 inch tall by 9/16 inch wide. Nice charm, good that it opens, but once opened, it doesn't close again, unless you use a tool to pressure-close the small clip. Can't wear it if it stays open.